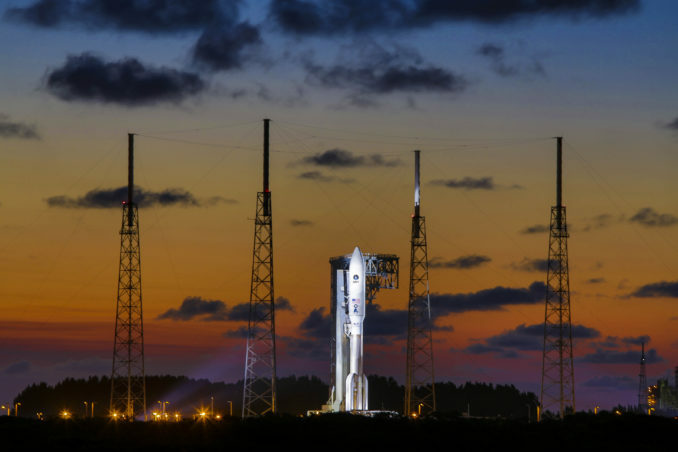 CAPE CANAVERAL — A nuclear blast detection satellite and an assortment of experiments will be boosted directly into geosynchronous orbit 22,300 miles above Earth in 2019 by the most-powerful version of United Launch Alliance’s Atlas 5 rocket, the Air Force has decided. The Atlas 5, fitted with its maximum of five side-mounted solid rocket boosters for the greatest thrust, was awarded the Space Test Program 3 mission under a firm-fixed price, standalone contract with a value of $191,141,581. 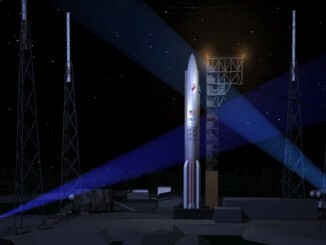 “The competitive award of the STP-3 launch services contract to United Launch Alliance directly supports SMC’s mission of delivering resilient and affordable space capabilities to our nation,” said Lt. Gen. John F. Thompson, Air Force program executive officer for space and the Space and Missile Systems Center commander at Los Angeles Air Force Base. STP 3 is the third National Security Space launch competed between ULA’s stable of rockets and SpaceX’s Falcon 9. Two earlier GPS launches went to SpaceX. The emergence of SpaceX into the market sparked competition for some missions that fall within the overlapping launch capabilities of both SpaceX and ULA. Heavier missions exceeding the Falcon’s ability to lift them to the desired orbit, however, continue to be sole-sourced to ULA. “Yesterday’s award of the STP 3 launch services contract marks the third of 15 competitively-procured launches for Phase 1A. This was a ‘best value’ source selection in accordance with the federal acquisition regulations,” said Claire Leon, Space and Missile Systems Center’s Launch Enterprise director. 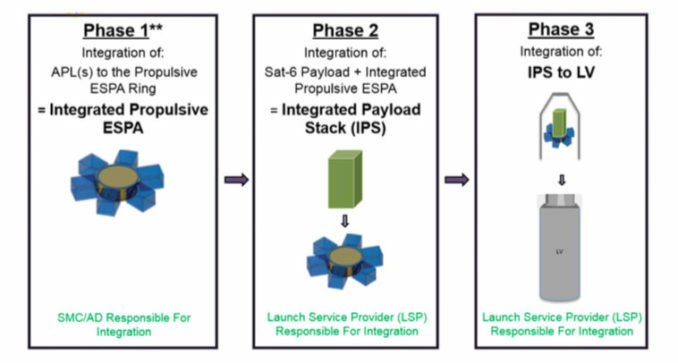 The STP 3 mission is the dual launch of the primary spacecraft — known as Space Test Program Satellite 6 (STPSat 6) — and a propulsive Evolved Expendable Launch Vehicle Secondary Payload Adapter carrying as many as six small payloads. Under terms of the contract, the Atlas 5 must deliver a threshold mass of 7,202 pounds and may lift up to the objective mass of 10,024 pounds directly to geosynchronous orbit at an inclination of 0 degrees. The exact mass will be decided based upon the ESPA payload selection. ULA has experience with direct insertions to GEO, successfully launching seven missions for the National Reconnaissance Office and Air Force to that orbit in its 119 flights to date. Heritage Centaur missions have done countless GEO launches as well. The Atlas 5-551 is scheduled to perform a GEO direct mission for the Air Force next spring. 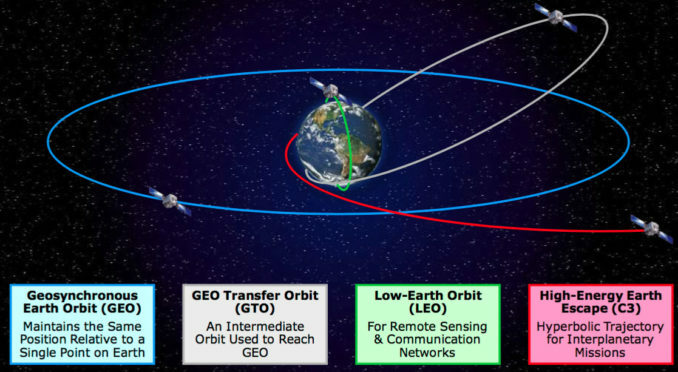 It is a complex trek requiring three firings of the upper stage to reach a parking orbit, then a geosynchronous transfer orbit and a final burn about five hours after liftoff to reach a circular geosynchronous altitude that matches Earth’s rotation to stay in lockstep with one area of the globe. After deploying the STP 3 payloads, the Air Force will require the Centaur upper stage to further maneuver into a safe disposal orbit. “We are honored that the Air Force has entrusted ULA with launching this important test mission,” said Tory Bruno, ULA’s president and CEO. STPSat 6 will host the National Nuclear Security Administration’s Space and Atmospheric Burst Reporting System 3 (SABRS 3) package and NASA’s Laser Communications Relay Demonstration (LCRD). What’s more, the Department of Defense’s Space Test Program will fit an additional seven experiments on the satellite. The ESPA payloads will be identified no later than 12 months prior to launch. report any nuclear detonations in the Earth’s atmosphere or in near space. LCRD will investigate potential breakthrough technology to send and receive data, video and other information using lasers at rates 10 to 100 times faster than today’s fastest RF radios. It could be incorporated into NASA’s future data-relay systems. A surplus satellite bus was repurposed for STPSat 6, and Orbital ATK was awarded a sole-source contract in February to perform integration and support services for the STP 3 mission. Under that contract, Orbital ATK will integrate and test the spacecraft, deliver operations procedures, and support launch and on-orbit check-out. “The capability to modify one of our current buses into a multipurpose spacecraft demonstrates Orbital ATK’s proven history of doing whatever it takes to meet the needs of our customers,” said Chris Long, vice president of National Space Systems at Orbital ATK. 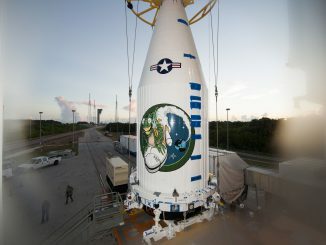 The Air Force put five other National Security Space launches out for bids from ULA and SpaceX on Thursday, including three more GPS 3 satellites and two Air Force missions directly to geosynchronous orbit in 2020 — the Wide Field of View (WFOV) Testbed missile-warning satellite and another propulsive ESPA amounting to about 6,300 pounds in a launch known as AFSPC 12 and a third pair of Geosynchronous Space Situational Awareness Program spacecraft, known as GSSAP 5 and 6, amounting to 3,000 pounds under the mission known of AFSPC 8. Proposals are due back to the Air Force no later than August 14. 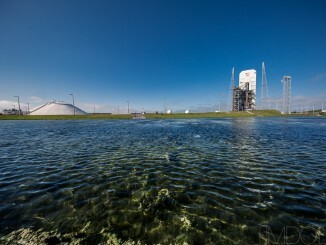 The contracts for the launches are expected to be awarded within about six months. Further competitions are planned for a batch of five missions — NROL-85, L-87 and L-107, a SBIRS GEO satellite and AFSPC 44 — a standalone fight for AFSPC 52 and one for GPS 3-07. That represents all Air Force missions needing to purchase rockets through 2020, except for the launches of three large-class NRO payloads that SpaceX has chosen not to contest. Those will be sole-sourced to Delta 4-Heavy rockets to carry in the early 2020s. Also, Leon said all 36 cores under the EELV Block Buy have now been assigned. That news comes just weeks after the Air Force assigned the AEHF 6 nuclear-survivable communications satellite to the Atlas 5-551 and upgraded the AEHF 5 launch vehicle from a 541 to a 551 due to mission requirements. “These are really dynamic times for EELV program. Launch is obviously fundamental to our nation’s critical space capabilities. M y old boss used to say satellites are potted plants without the launch capability,” Leon said.